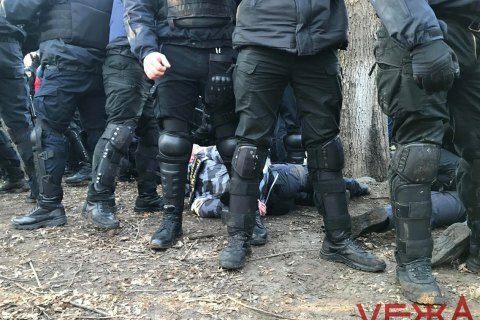 Members of the National Militia, a militarized wing of the far-right National Corps party, have clashed with police in Vinnytsya. According to the local news website 20 Hvylyn, three persons have been detained. The local police later confirmed the detention. A rally of President Petro Poroshenko's supporters was planned to be held in the city. The nationalists scheduled their march for the same time and moved in a column towards the rally. According to the police, when the nationalists could not get closer, they used gas sprays, petards and stones against the police. Most of the activists were not local.